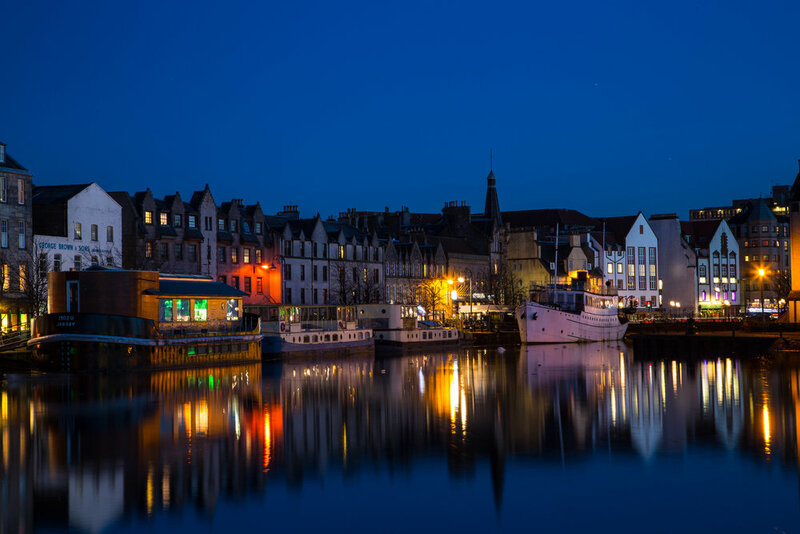 I was fortunate enough to visit Leith on a very calm and crisp evening which made for some fantastic Amsterdam-esque reflections on the Water of Leith. This was my first visit back to Leith since February of last year. I was accompanied with @alycoste who regaled me with coffee and hilarious stories that kept us both laughing. Check out her instagram profile I am sure she will have some excellent photographs of this trip posted. Leith is an area to the North of Edinburgh where the Water of Leith drains into the Forth River. 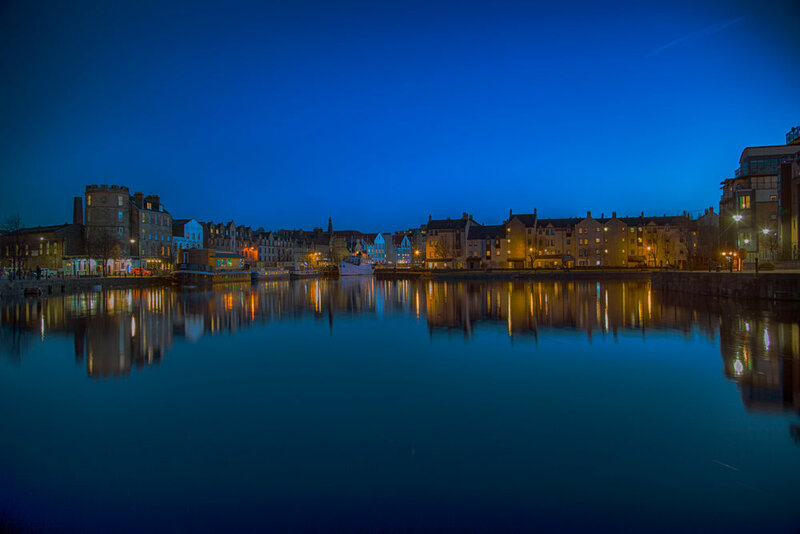 It is a well known area, perhaps most commonly known through The Proclaimers 1988 album - Sunshine on Leith. If you haven't listened to any of their work I highly recommend it. 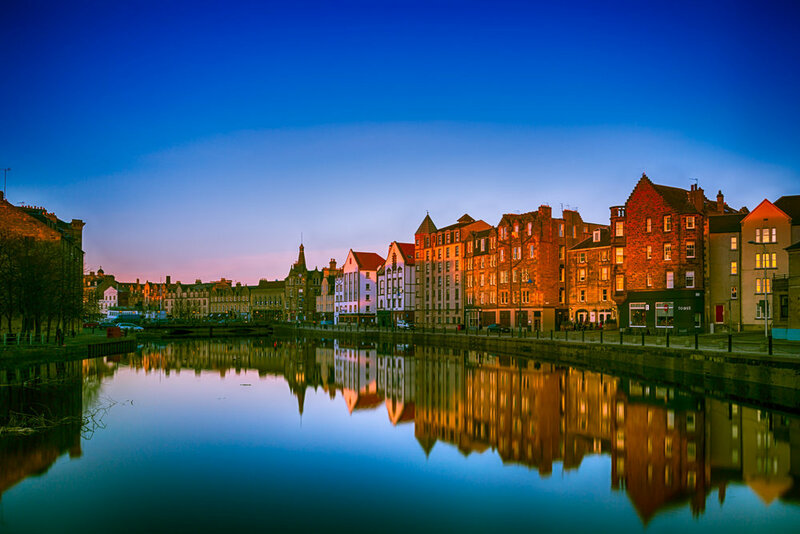 Leith itself is a buzzing port district now home to hipsters, part of the Scottish government and some light industry. It is also adorned with a lot of restaurants, bars, cafés and thrift shops. It is a nice area of Edinburgh to wander around should you ever visit. If you are on a desktop or large tablet the thumbnails can be expanded by clicking on them, thanks for reading!